Now you become a little more ambitious. 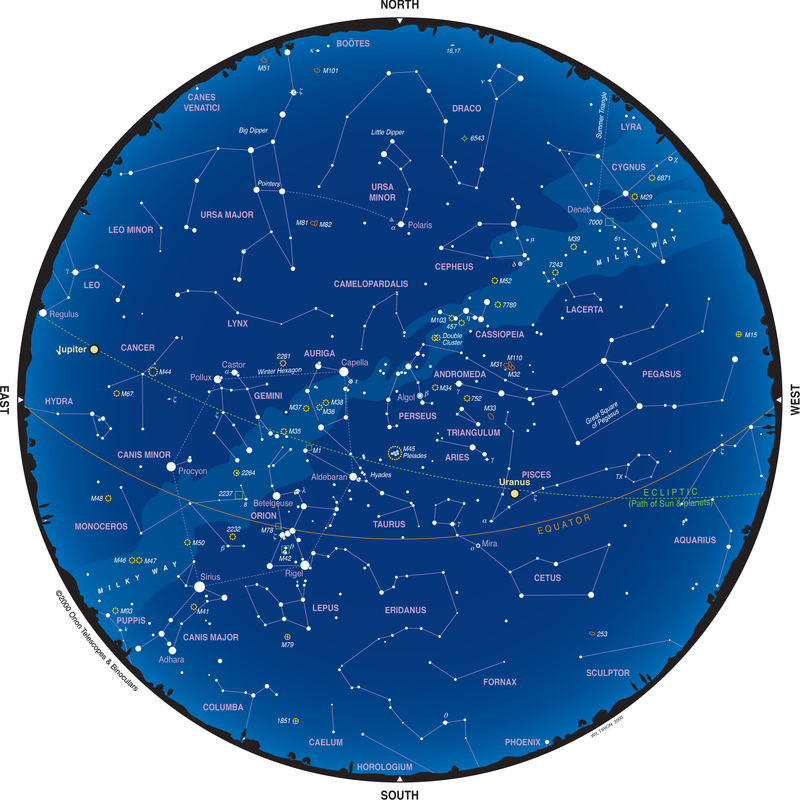 You consult a star map such as the one from Telescope.com, John Walker, Sky Map Online or Heavens Above, and you manage to locate the constellation Orion in the dark of a clear January night in the northern hemisphere [click on images to enlarge]. According to your astronomy manual, the Orion Nebula, the 42nd Messier object, M42, is located below Orion's belt of three stars. 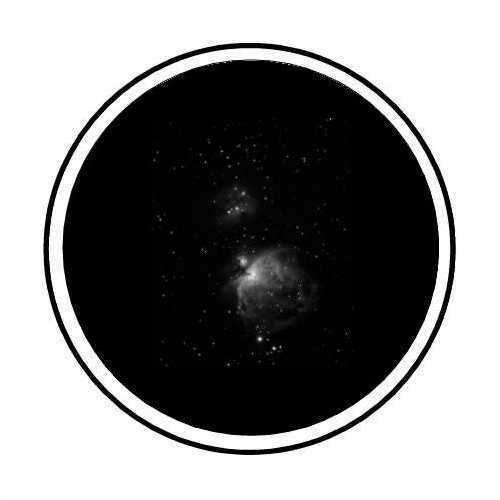 After a little searching, a blurry image appears in your telescope: You are excited  you have seen your first nebula!